Two college freshmen from Louisiana may get a chance to meet on the mat at the Blue Chip Oklahoma City University Woman's Open this weekend in Oklahoma. Both young ladies have started the season undefeated. Nette is 5-0 while Bates has a 2-0 record. 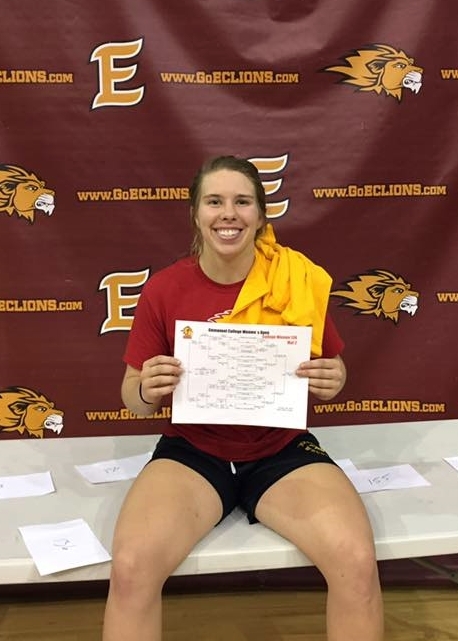 On October 1st Nette defeated Lyon College's Elissa Douglas by a 10-0 technical fall. Two weeks later, on October 14, in a 37-10 dual meet loss to McKendree University, Nette won a 9-8 decision over Alexia Ward, who is ranked seventh by Intermat. Nette was the only Lady Lion to win a match for Emmanuel. On the following day Nette posted a 3-0 record in winning the Emmanuel Open. In that event Nette defeated Ward again via a 4-2 score. Bates' two wins came from a tri-meet with Warner Pacific College (Oregon, ) and Bacone College (Oklahoma). Against Warner Pacific, in a match the Pioneers won 35-11, Bates scored a fall over Valeria Sanchez. Against Bacone Bates scored another fall over Regina Bell. Emmanuel College is ranked 15th by Intermat, tied with Warner Pacific College. Bacone is ranked 22nd and McKendree fourth. Wayland Baptist College is ranked seventh. From the TrackWrestling Tournaments page hit "Search Events" and type "Blue Chip OCU" to find the TrackWrestling page for the event.